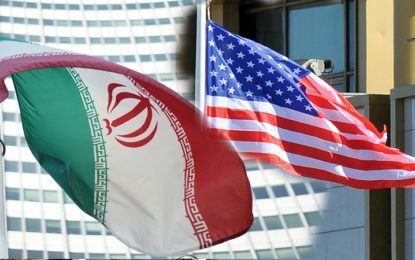 The United States on Tuesday imposed fresh sanctions on a network of companies and people in Iran, Turkey and the United Arab Emirates it said was helping to raise billions of dollars to fund the operations of Iran’s elite Revolutionary Guards. The U.S. Treasury blacklisted 25 people and organizations, including a clutch of front companies based in the three countries, that were working on behalf of Iran’s Islamic Revolutionary Guards Corps (IRGC) and Iran’s defense ministry to raise money for their activities. Additionally, Hook said the United States was sanctioning Iran’s defense ministry “for its support for terrorism” and providing logistics support to the Revolutionary Guards.